In March Luke and I went on a mini-spring break vacation to Buffalo. One of the places we explored while there was their local zoo. Because it was cold and snowing we almost had the park to ourselves. Now I have been spoiled when it comes to great zoos. 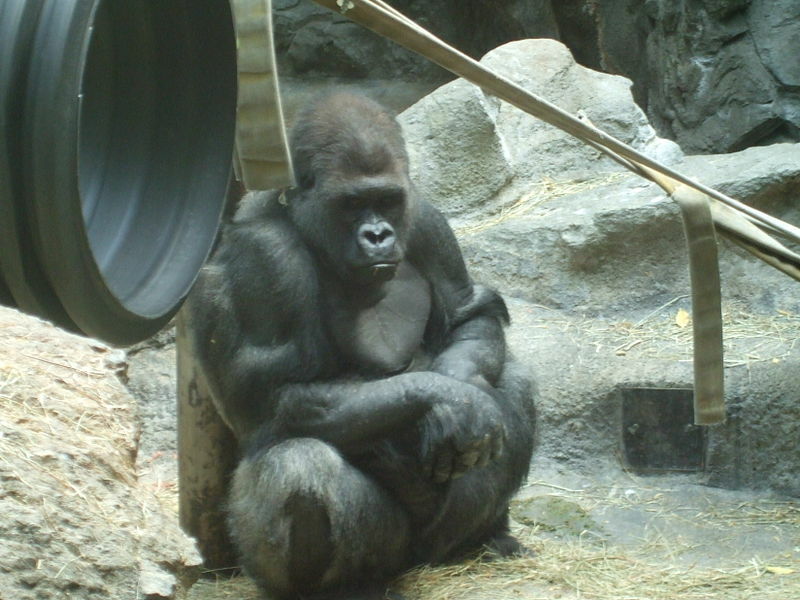 I grew up with the LA zoo where the weather is good enough to view all animals all year. 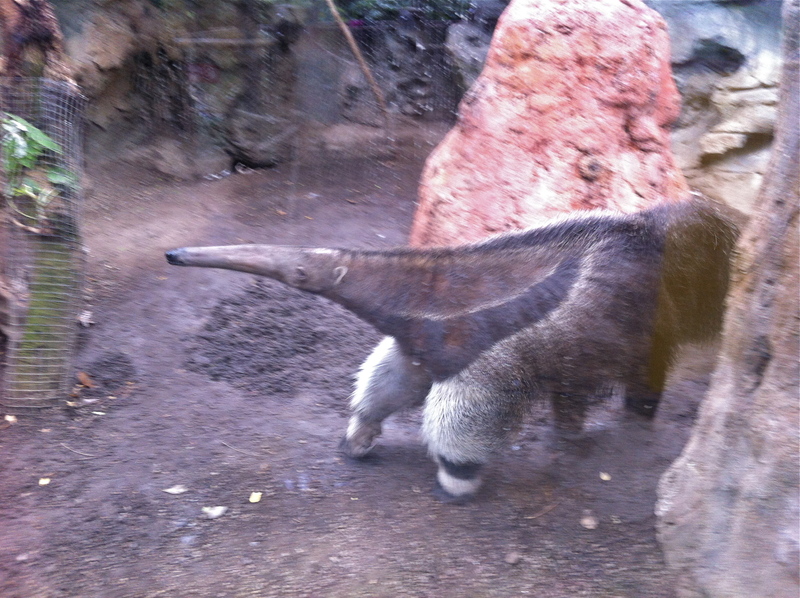 Then the weekend before Luke and I got married we went to San Diego zoo. I had been before when I was very little but it was Luke’s first time. Of course that zoo is world famous and has a rare Panda exhibit. 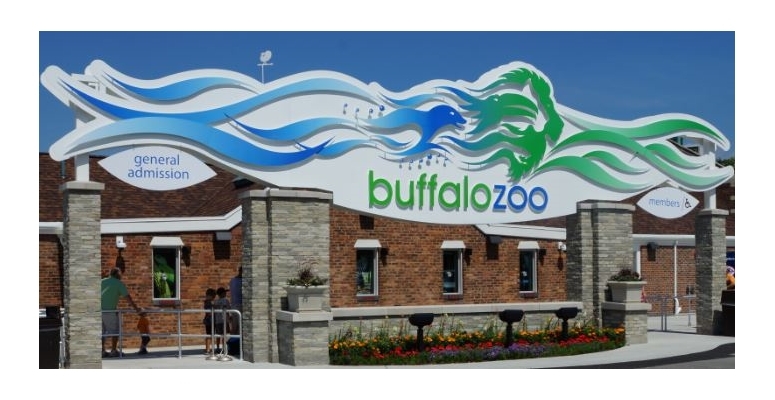 I knew this going into the much smaller 20 or so acre Buffalo Zoo. But I have to say I was impressed. 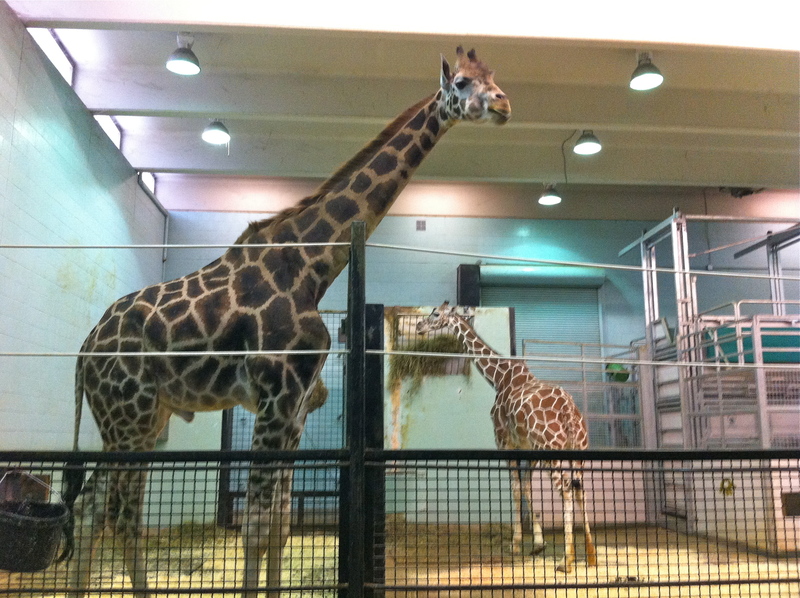 For a small zoo it was well organized, clean, and a good variety of animals and habitats. Of course because of the weather some animals were not so keen on coming out to play like the hyenas, some monkeys, and leopards. We watched as a lioness pouched, roared, and scratched at the door to go inside. 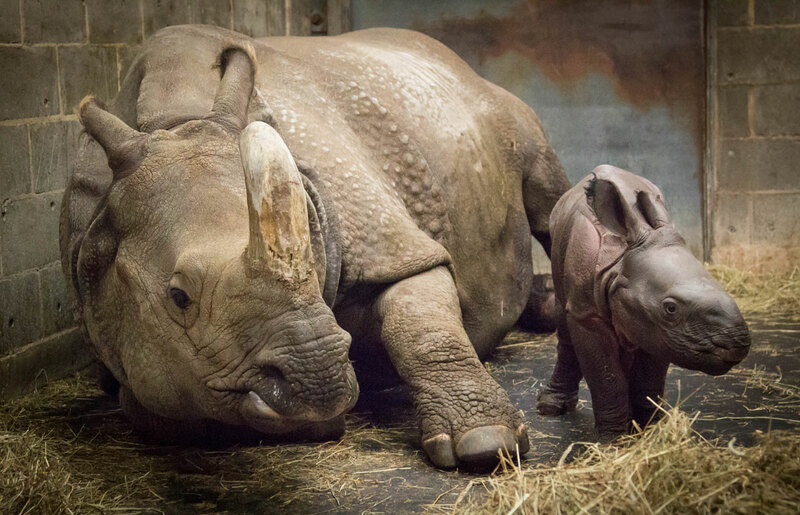 But we were please to find out the zoo has been very successful with babies.We were able to watch several baby and toddler grey backed gorillas run around together, a baby rhino playfully charge at her mother, and two baby giraffes exploring their play area. Fortunately, this type of zoo is used to the rainy/snowing weather so the gorilla exhibit, giraffe house, elephant house, reptile house and more were all indoors. 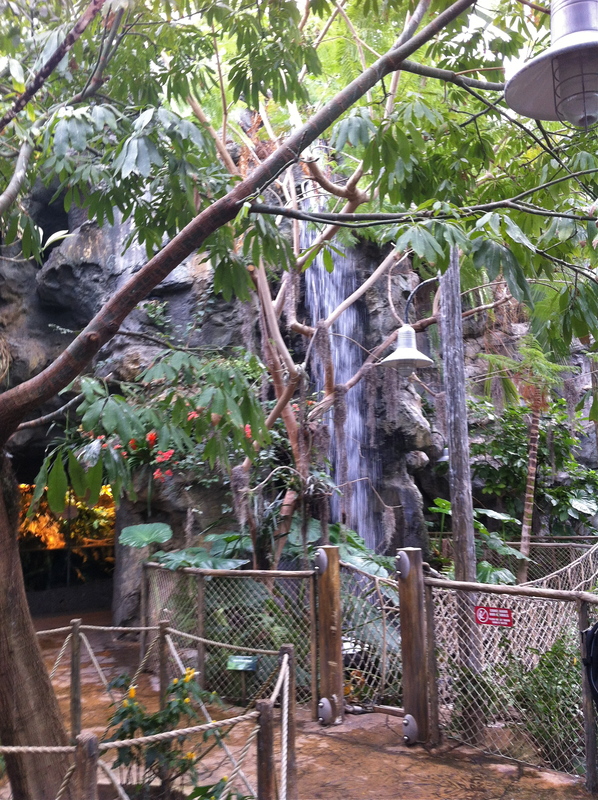 Another impressive piece of the zoo was their indoor rainforest ecohabitat. When we walked through the doors of this exhibit we sighed relief and took off our coats in the humidity. 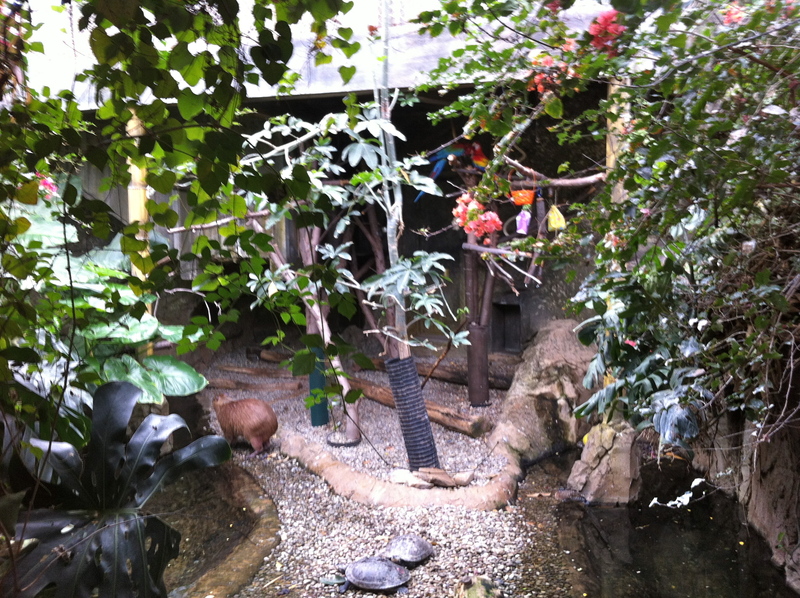 With a waterfall at the back and a river winding through the center, animals who would normally interact in the wild are placed in the same exhibit.We watched the capybara, rays, turtles, and tropical birds in the river. 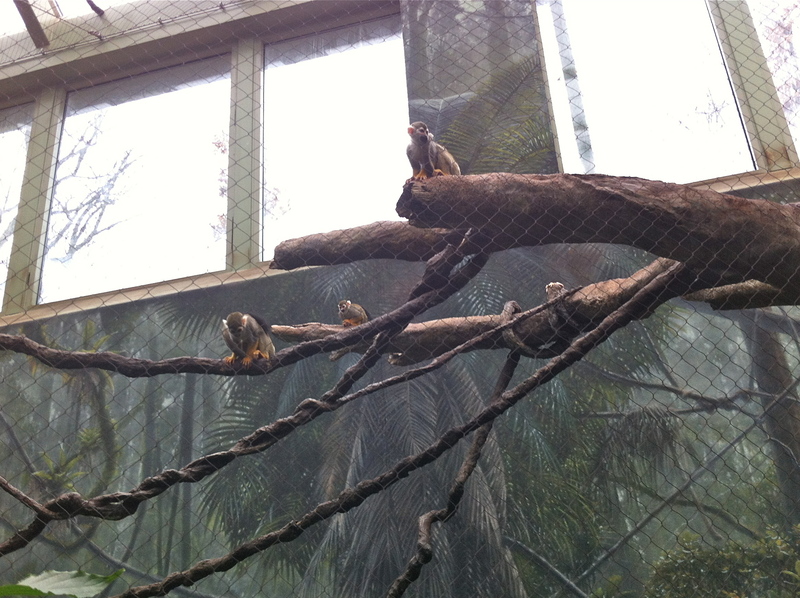 Tropical monkeys shared an exhibit with tortoises and above red ibis and toucans flew freely around landing on the tops of wire cages. They also had a separate exhibit for an anteater and for vampire bats behind the waterfall. Let’s just say in spite of the weather we were happy that we went to the zoo. 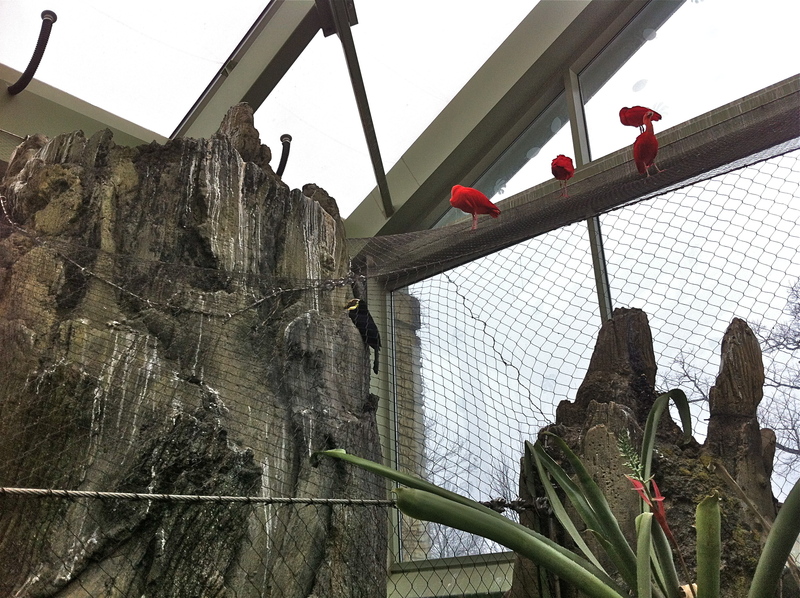 What is your favorite animal to watch at the zoo? You got a bunch of great pics. I forgot you guys took this mini-vacation. There is something to be said for braving the cold…no one crowds to fight! Exploring your area…you always make me wonder what we are missing around here. How do you find these pockets of entertainment that really does not cost that much to attend? Thanks for the insight. I need to plan. Put this on my list now so this summer we can explore where we live. Variety. You realize this is also what you do for all the great food you post. If I want variety, I need to plan it! Great reminder! Great walk through of the zoo! It may be smaller but it holds a surprising number of animals! I always tell people to head to the zoos not during peak season – no crowds and more tolerable weather!